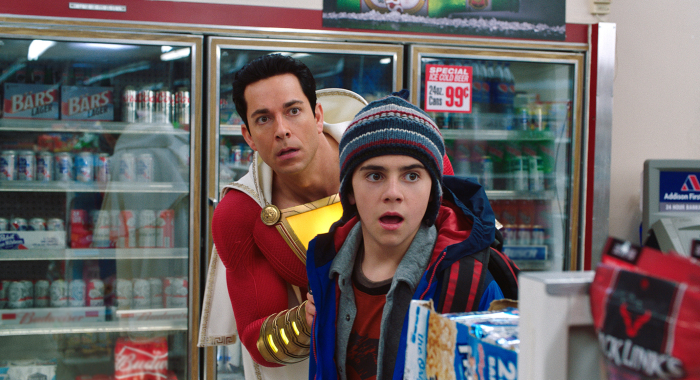 Plus, Pet Sematary makes $25 million as Us, Captain Marvel hit new milestones on the weekend of April 5-7. 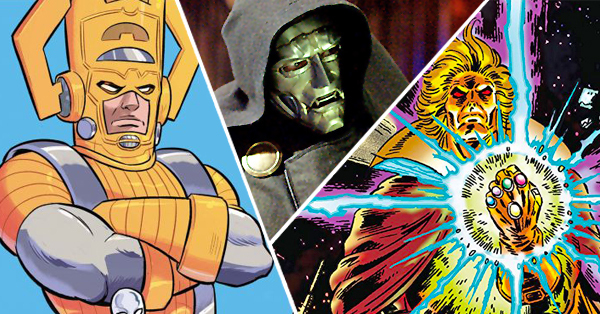 It certainly felt like the late ’80s this weekend at the box office. A re-adaptation of Pet Sematary (that felt more like a remake) and a superhero film with more than a few nods to Big together grossed more than $78 million. Can they ultimately match the $172 million that those films made? Or could Shazam! reach that number all by itself? DC’s Shazam! 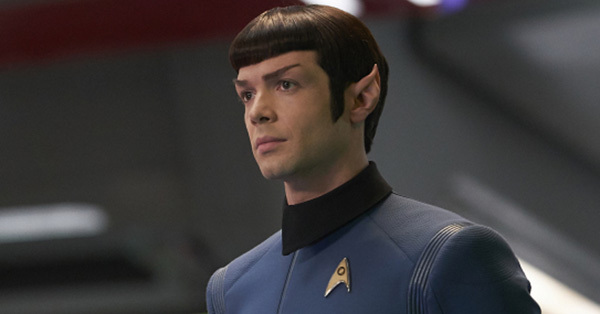 led the box office with $53.45 million this weekend, on top of the $3.3 million it earned in early preview screenings. That was higher than projections. Even though that is the lowest opening in the DC Extended Universe, knocking the film for that fact would be like giving Ant-Man a hard time for not living up to the numbers of Captain America or Iron Man. Shazam! is a different beast than the mostly darker offerings from the DCEU, something that critics appear to dig. Shazam! has scored a 91% on the Tomatometer, just shy of the 92% of Wonder Woman. That is also higher than two of the Christopher Nolan Batman films – Batman Begins and The Dark Knight Rises – which are a universe apart from the current DC crop. Shazam! now currently owns the ninth-best opening weekend ever in April; that will be knocked back to 10th on April 26 when Avengers: Endgame opens. Among the 10 films that had the biggest ever April openings, the low bar for ultimate totals has been set by Fast and Furious ($155 million) and 2010’s Clash of the Titans ($163.2 million). The two best multiples among April’s top 10 were earned by A Quiet Place (3.74 times its opening weekend) and 2016’s The Jungle Book (3.52). Their Tomatometer scores were both 95%. 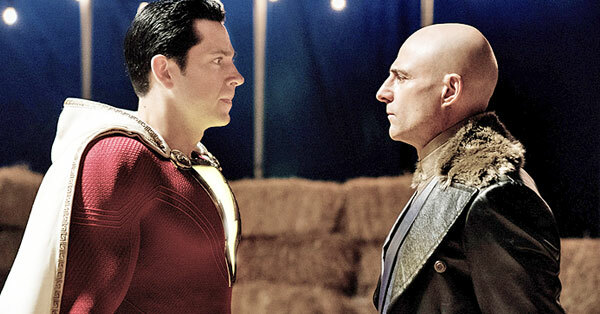 Audience word-of-mouth looks to be solid for Shazam!, which bodes well for its future. The R-rated Hellboy is unlikely to eat into the DC hit’s core audience, and if it can maintain a drop less than 45% it should be on track to earn at least $172 million, and potentially out-earn the original Ant-Man’s $180 million. The Best of Enemies opened with $4.5 million from 1,705 theaters, representing STX Entertainment’s seventh-lowest opening per-theater-average. Critics were mixed on the the movie – it has a 52% Tomatometer score – and audiences didn’t show up in impressive numbers. STX had a better month back in January with their Weinstein Co. pickup, The Upside, which remains one of the five highest-grossing films of the year with $107 million. That was the second-best tally (behind Bad Moms) for the studio in its nearly four-year history. The Rest of the Top 10 and Beyond: Stephen King Continues to Draw Crowds, but Can Sematary Match the Original? There seems little hope that directors Kevin Kölsch & Dennis Widmyer’s version can match those inflation numbers off of a $25 million weekend. Among eight horror films that have opened between $22 million and $26 million, only The Visit and 2005’s The Amityville Horror managed to pass $57 million. (Each actually made $65.2 million.) 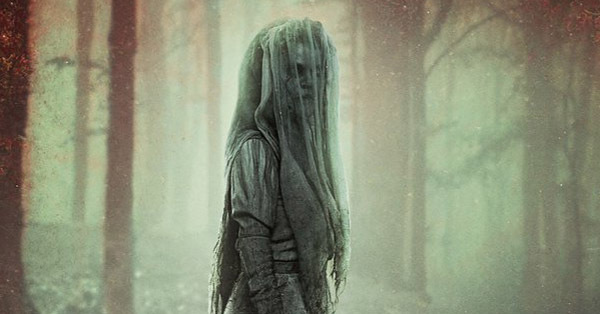 Another two films – the 2013’s Evil Dead and 2015’s Poltergeist – appear to be more in line with audience response and dropped a respective 63.2% and 64.4% in their second weekends. Tune in next week to see which way Pet Sematary goes. Meanwhile, another horror film is climbing the charts of the all-timers. 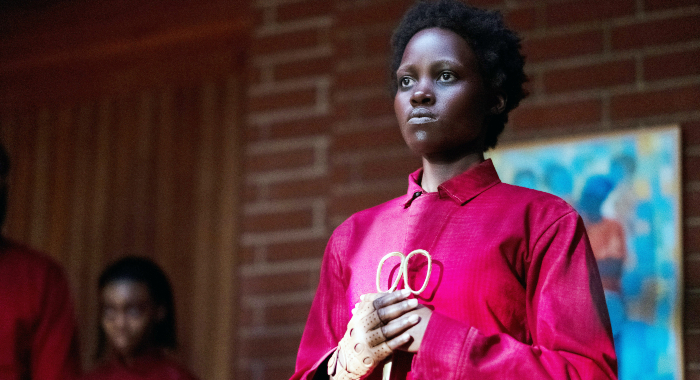 Jordan Peele’s Us is now ahead of 2018’s Halloween after 17 days, with $152.3 million vs. the latter film’s $150.2 million total. That’s the second-highest ever for a horror film. 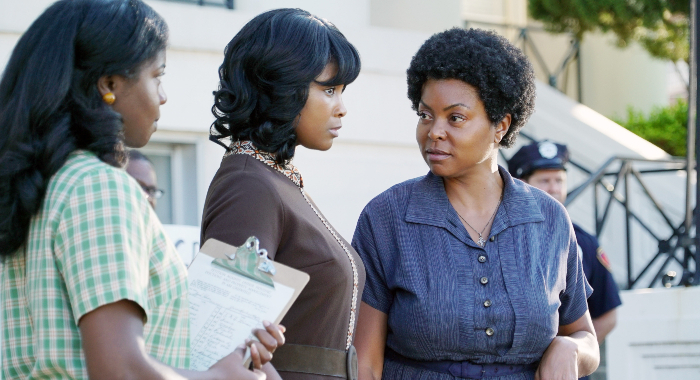 It also bested Halloween’s third weekend ($13.8 million to $10.8 million). 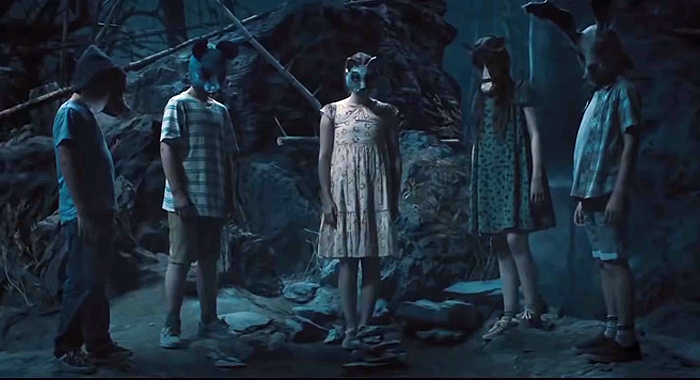 Pet Sematary took some viewers away from Us this weekend but more people will still be talking about Us next week as it continues to forge a path towards $200 million. Its international total is $216.5 million. 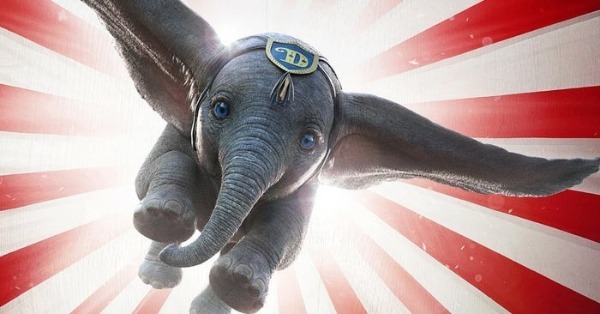 One film not headed to $200 million – at least not on the domestic front – is Tim Burton’s Dumbo. It is the 13th film from Disney released in over 3,000 theaters to drop 60% or more in its second weekend. With $76 million after 10 days that puts Dumbo behind 1999’s Tarzan, Lilo & Stitch, and Wild Hogs on the Disney charts. The film has made an additional $137.5 million internationally for a total of $213 million to date. It is going to need more than half-a-billion to break even. Good thing that Captain Marvel’s numbers are still looking super. Its $374 million domestic take is the 19th highest gross ever after 31 days of release. And the $12.6 million it earned this weekend is the 21st best fifth weekend ever. 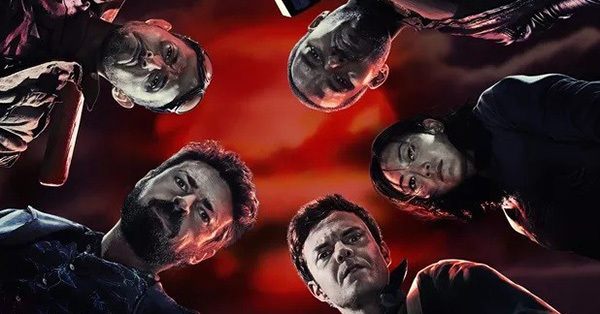 It is now the 37th film to cross the $1 billion mark globally (and the seventh Marvel Cinematic Universe film to do so) and it continues to climb both of those charts. This weekend it also become the 30th highest-grossing film ever. 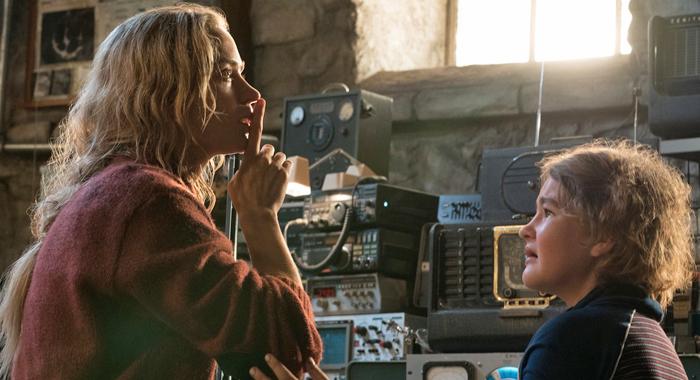 John Krasinski’s A Quiet Place opened to $50.2 million, beginning its run towards becoming one of the biggest horror films of all time. The Universal comedy Blockers came in third with $20.5 million and the Ted Kennedy drama Chappaquiddick opened in seventh with $5.7 million. Steven Spielberg’s Ready Player One was just two days away from passing $100 million domestically. That movie’s $24.6 million second weekend helped the top 10 films gross a total of $140.86 million with an average Tomatometer score of 60.9%. This year’s top 10 grossed an estimated $138.59 million and averaged 64.7% on the Tomatometer. If Shazam! 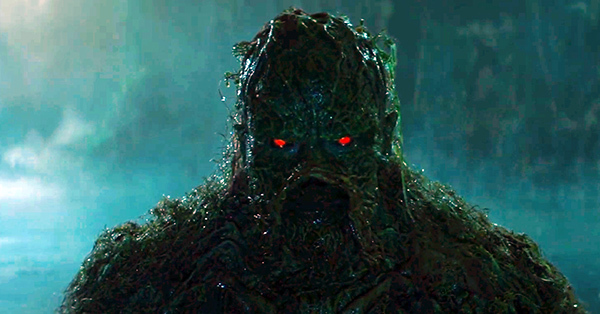 was too family-friendly for you and you cannot wait until Avengers: Endgame, then Lionsgate’s reboot of Hellboy with Stranger Things’ David Harbour might satisfy your hunger for R-rated comic-book fare. 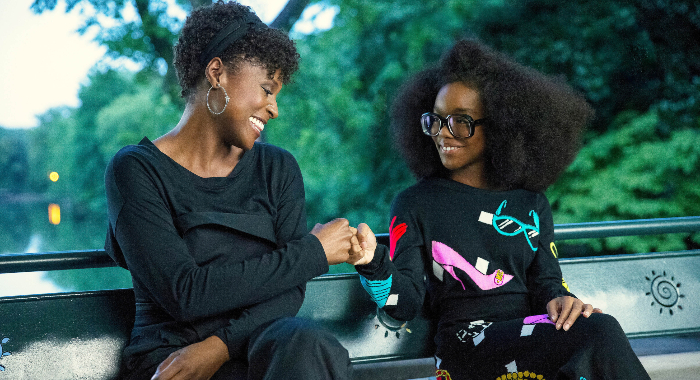 Once there was Tom Hanks in Big, now Universal presents Regina Hall in Little, a modern reversal in every respect that sprung from the mind of 14-year-old black-ish star Marsai Martin. Laika Animation is back with its latest, Missing Link, and Aviron releases the adaptation of young adult novel, After. Then for one night only on Wednesday, April 10, you can see Terry Gilliam’s The Man Who Killed Don Quixote, a film 21 years in the making.